2:24 p.m., Sept. 10, 2007--Using a novel “deep sequencing” technology that can in one fell swoop decode 50 million sequences representing well over a billion bases of DNA, a research team led by University of Delaware scientists is working to unmask where, why and how certain genes are switched on or off in rice--a crop vital to the world's food supply. The goal of the four-year project, which is supported by a $5.3-million grant from the National Science Foundation (NSF), is to advance scientific understanding of the rice epigenome--the series of biochemical modifications of the rice DNA that can toggle a gene on or, conversely, silence it. 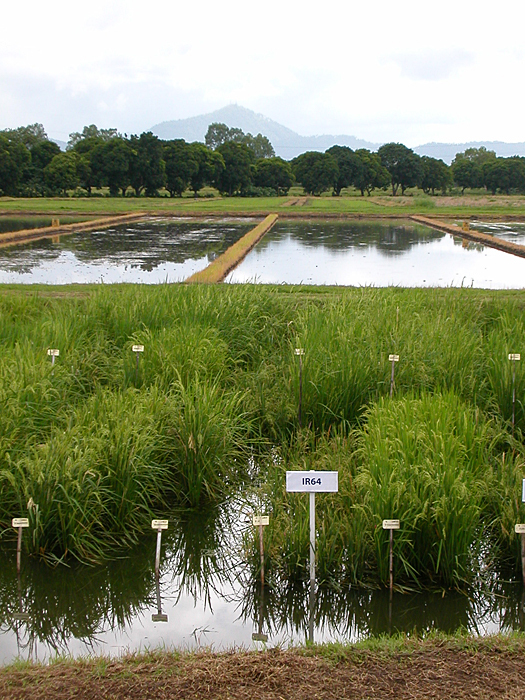 Ultimately, the research may lead to the development of hardier strains of rice, as well as shed light on similar mechanisms at work in corn and other important cereal grains that are closely related to rice. Blake Meyers, associate professor of plant and soil sciences at UD, is the principal investigator on the project, which also involves Guo-Liang Wang, a rice biologist from Ohio State University; Steven Jacobsen, an expert in epigenetics, and computer scientist Matteo Pellegrini, both from the University of California at Los Angeles; and Yulin Jia, a plant pathologist at the U.S. Department of Agriculture's Dale Bumpers National Rice Research Center in Stuttgart, Ark. The effort builds on Meyers' previous awards from the NSF Plant Genome Research Program, as well as ongoing investigations of small RNAs--short lengths of ribonucleic acids that act as gene regulators--performed in collaboration with Pamela Green, the Crawford H. Greenewalt Endowed Chair in Plant Molecular Biology at UD, whose lab is next door to Meyers' in the Delaware Biotechnology Institute. These projects have now propelled the research in a new direction, to new frontiers in the field of epigenetics. “Epigenetics refers to a heritable change that is not a result of a change in DNA sequence, but rather a chemical modification of nucleotides in the DNA or its associated proteins,” Meyers said. “That means that these changes can be reversible, and it's easier to switch them on or off. 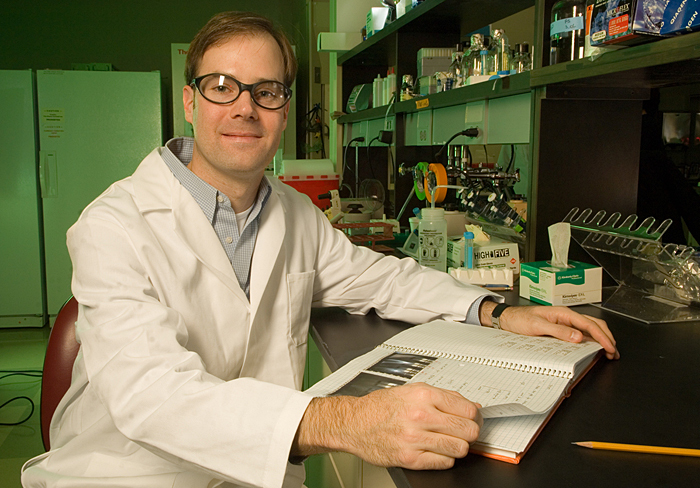 Small RNAs are one of the key 'control switches,' directing these modifications,” Meyers noted. State-of-the-art sequencing by synthesis (SBS) technology developed by Solexa Inc., in Hayward, Calif., will provide the data essential to the project. This novel “deep sequencing” tool, which can decode tens of millions of sequences during a single run, has become available over the last year. The application of SBS to epigenetics research was demonstrated in the human genome only within the past few months. The UD-led effort will be one of the first large-scale projects to use this approach in crop plants. The scientists will use the technology to look for chemical modifications in chromatin, the building-block material of chromosomes, consisting of DNA and the proteins that interact with it. The scientists want to know how the chromatin is configured and what role changes in the material play in plant development. This photo of rice was taken by Blake Meyers during a visit to the International Rice Research Institute in the Philippines in 2005. The trip, which resulted in a new collaboration on small RNAs, was funded by an International Research Award from UD's Center for International Studies. Besides studying the state of the genome using a variety of different strains of rice plants, the research team will develop new bioinformatics methods to process the vast amounts of data and mine new discoveries. The data from the current project will be accessible through web sites at UD and UCLA--[http://mpss.udel.edu/rice] and [http://epigenomics.mcdb.ucla.edu]. The research project also includes an innovative education and outreach component targeting graduate students in plant science. Students will write, submit and exchange research proposals with students from different universities. They will then serve on a panel to critique and rank the proposals, modeled after the National Science Foundation's own proposal review process. “Since planning experiments and justifying these through writing proposals is such an integral part of what a scientist does, I thought this would be a good experience for our students,” Meyers said. “This way, they can also see what their advisers go through,” he added, grinning. Meyers developed the educational project several years ago in the advanced plant genetics course (PL636) he teaches in the UD College of Agriculture and Natural Resources. Since then, several colleagues and their classes at Iowa State and Penn State have participated in the program, exchanging proposals with UD, and UCLA and Ohio State are planning to join the program during the current four-year grant. “My hope is that this program and its proposal exchange system can be used broadly by plant genetics and genomics courses at universities to build writing, communication and critical thinking skills among graduate students,” Meyers said.